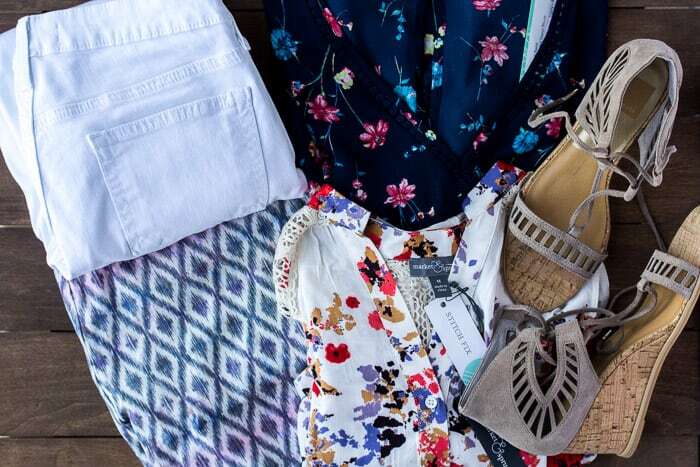 This April 2018 Stitch Fix review is all about Spring Style! The pieces are all amazing! This April 2018 Stitch Fix box is the second in a row where I kept all of the items! One item, that I actually requested, didn’t fit as I had hoped. I’ll explain at the end of the post what I do now when there are items I don’t want, but still want to get the discount for buying the entire box. Now that that’s out of the way, let’s get to another amazing box of clothing! I requested white skinny jeans and my stylist, Roseann, delivered! These are actually a smaller size than another pair of Just Black jeans that I own, but they fit great! They are not distressed, which I love. Now, I just have to figure out how to keep my kids from ruining them – ha! 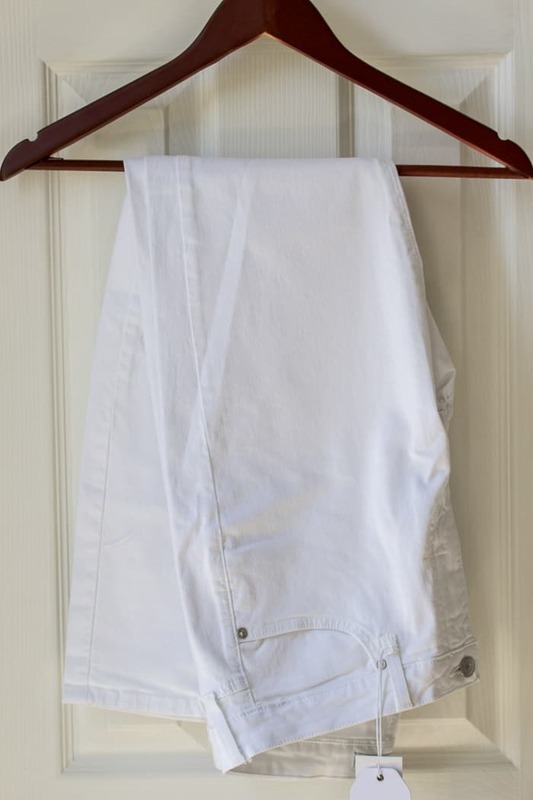 These linen shorts were another item I requested. I had more of a loose fit in mind, but didn’t state that in my note. I actually love these shorts! Level 99 is one of my favorite brands for bottoms. There was no picture on the website of these shorts, possibly because they are a different print then other Cindie Printed Linen Shorts I’ve seen? These are also $10 less that those other prints. I couldn’t decide if the light pink that runs through the print looks like a threw a red sock in with the laundry, or it was a cute, unique twist. I ended up going with the last option and think these are perfect for summer! Daniel Rainn is quickly becoming my favorite brand for really pretty sleeveless tops. I don’t know if I had this pinned, but I do know I have a lot of tops very similar to this one on my Pinterest board. 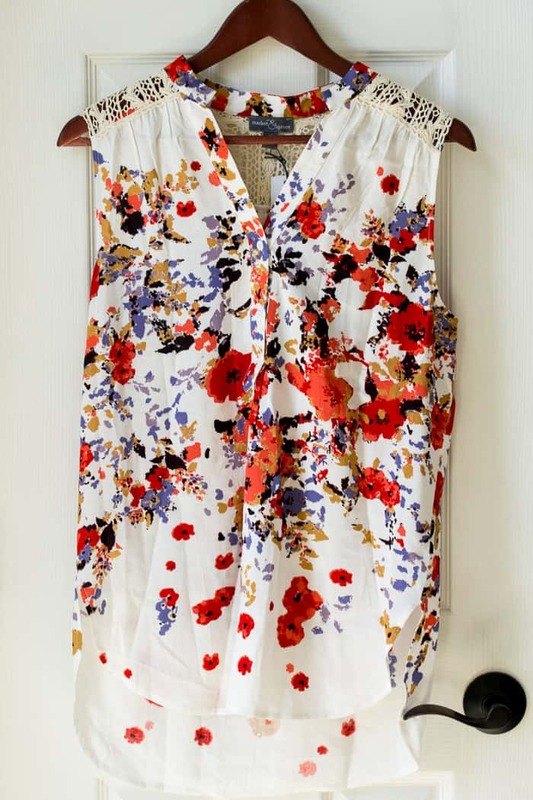 This top fits great and the print is perfect for Spring…and pretty much all year really! It looks great with the white skinny jeans! I love these shoes! Roseann included them because they look very similar to another pair I have pinned. These aren’t too high and they are super light. I tried them on and walked around for a few minutes and could tell right away that I will definitely be comfortable wearing these for hours on end if I have to! They look great with everything from jeans to shorts to dresses! Definitely an amazing find! I specifically requested this item and Roseann came through for me! Unfortunately, this is the top that didn’t fit. It was too tight across the chest which made the space between the buttons open. It’s a slightly longer top and I didn’t want to exchange it because I felt the next size up would be too big length-wise. I kept the shirt because the discount for buying the entire box was more than the cost of the shirt and I know now that I can sell items I don’t want for the same price I paid for them! 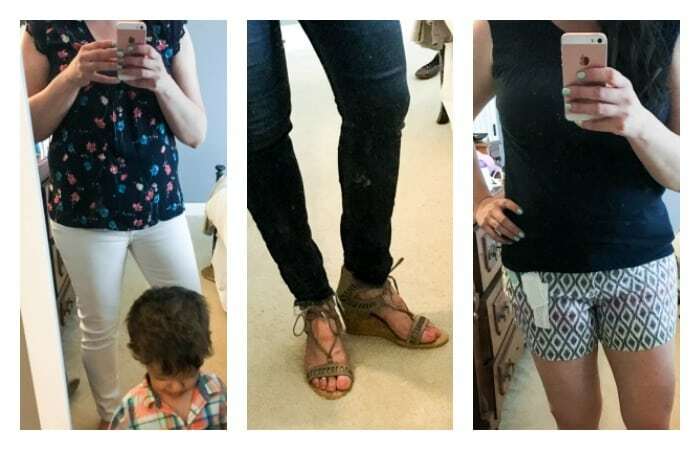 There is a Facebook group called Stitch Fix B/S/T and Discussion that I recently joined. I listed the Market & Spruce top there for the price I paid (with the discount) plus $5.00 to cover shipping and Paypal fees. It was snatched up in minutes! The same has also been the case for other items I’ve listed, including one shirt that was worn once. I did sell that at a much lower cost though. Here’s a collage of me wearing the items that I kept. Sorry for the quality, the toddler, and his hand prints all over the mirror. Now you can see why I rarely take photos of the clothes on – it’s definitely not an easy task when you don’t have help. In a few years, I plan to turn that little due into a professional photographer! The total for this fix was $354.00. The discount for buying everything was $88.50, leaving the total owed at $265.00. Had I paid the $20 styling fee, that would have also been deducted from the $265.00. I don’t pay the styling fee, because I was lucky enough to be offered the Style Pass which is a one time yearly fee of $49.00 that gets applied toward future purchases. It’s an exclusive offer that you can only get if Stitch Fix reaches out to you, but I do think that ordering often helps increase your odds. Overall, I absolutely loved this April 2018 Stitch Fix box! I keep hoping for warmer weather so I can actually start wearing some of these items soon! For my next fix, due in early May, I changed things up a bit. I requested more casual pants, shorts, and tops that I can wear to my sons soccer practices and games. I also asked for either shorts/capris/cropped pants in light blue, teal, or dark blue and mentioned that I love these printed wide leg pants I’ve been seeing and all the pretty kimonos. We shall see what shows up soon! 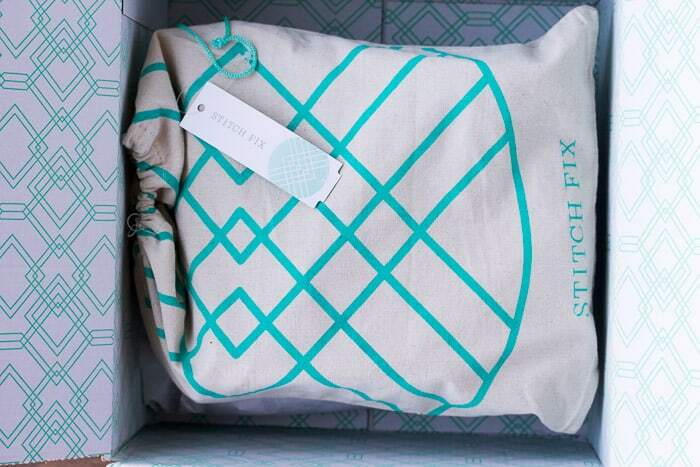 If you are ready to try Stitch Fix for yourself, you can do so HERE! Make sure to be super specific about items you’ve seen and love. 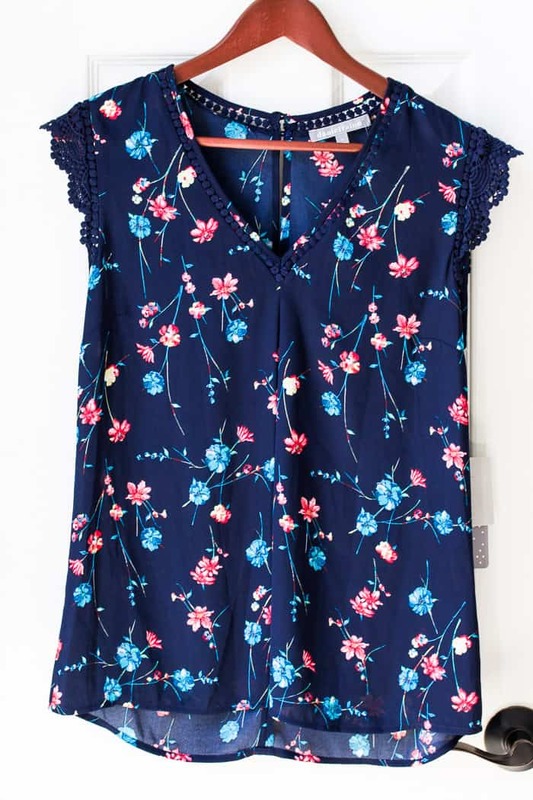 I would also definitely recommend linking an up-to-date Pinterest board that has Stitch Fix items you would love to get! You can see my Beauty, Fashion, and Style Board HERE and pin directly from this review, if you want!